LOVE. Say hi to the perfect transitional piece, the Odessa coat from Rodebjer! A friend of mine who already owns this coat in five colors warned me that it’s highly addictive, and I can totally see why. 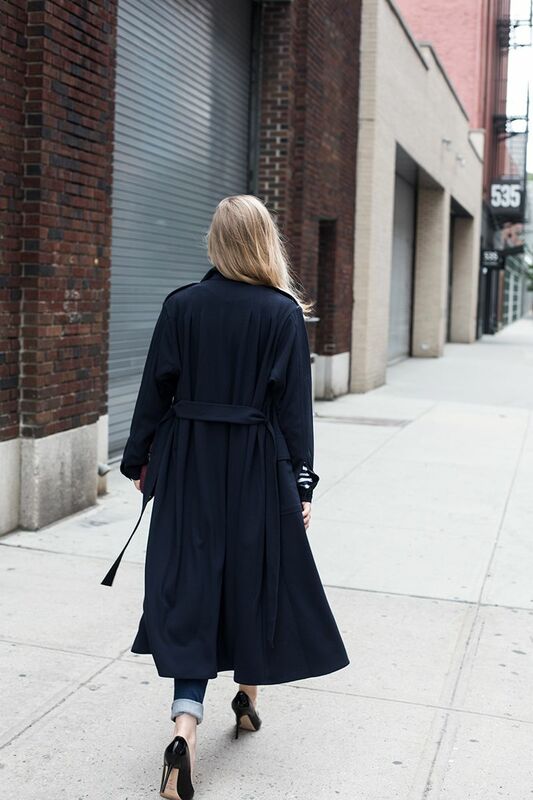 It’s a perfect mix between a classic trench and a military coat, both feminine and masculine at the same time. Love the epaulettes + the high neck! COAT Rodebjer. STRIPED TEE Comme de Garcons. BAG Kurt Geiger. PEARL EARRING Sophie Bille Brahe. EAR CUFF Thomas Sabo. JEANS Frame Denim. HEELS Jimmy Choo.